Analysis: The Foreign Ministry’s statement that Assad did use chemical weapons against his citizens on Sunday, despite the Kremlin’s strong denial, is aimed at drawing a red line against the Russians. Israeli officials are concerned that Putin’s diplomatic backing may be interpreted by the Syrian regime as a general legitimization to use chemical weapons—possibly against Israel too. Israel is escalating the diplomatic conflict with Russia and publicly standing by the United States concerning the chemical weapons used by Syrian President Bashar Assad against his own citizens. Jerusalem’s aggressive approach is reflected in a statement released by the Foreign Ministry shortly before 11 pm Monday, in which Israel ruled unequivocally that Assad and his regime had used chemical weapons against civilians on Sunday. The delayed Israeli response is based on the results of a thorough examination by the Military Intelligence Directorate. 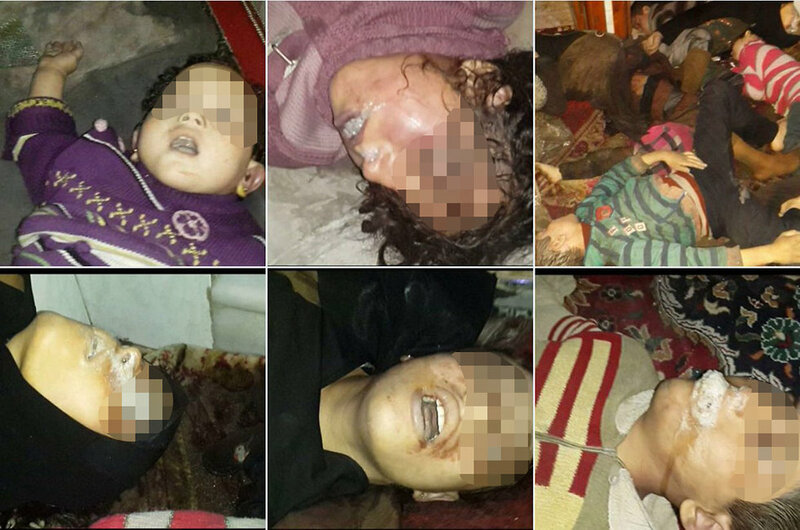 The examination’s findings revealed in an unequivocal manner that chemical warfare agents—likely nerve gas—were indeed used in the city of Douma in addition to chlorine, which usually isn’t lethal. 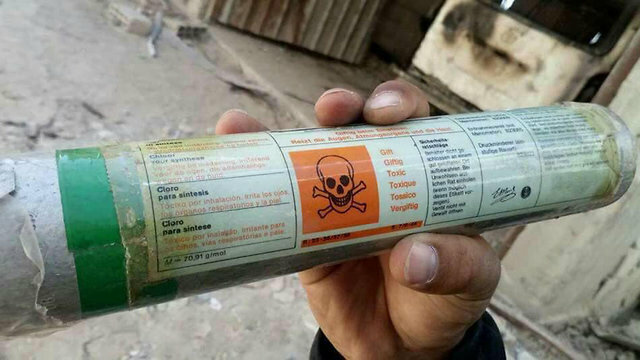 Furthermore, the Military Intelligence Directorate findings point to an ongoing production and development of chemical weapons by Syria, despite Russia’s 2013 commitment not to allow the Assad regime to produce and use chemical weapons. The Foreign Ministry statement is aimed at supporting US President Donald Trump, who is accusing Russia together with French President Emmanuel Macron of protecting and backing Assad as he uses chemical weapons against his citizens. The Israeli statement provides an intelligence confirmation of the fact that Assad is using chemical weapons, which has been strongly denied by the Kremlin. There is another reason for the Israeli statement: It was a diplomatic Israeli response to the Kremlin’s public condemnation of Israel not only over the alleged strike it carried out against Iranian forces in Syria, but also over its “indiscriminate use of force against the civilian population” in Gaza, a statement made by Russian Foreign Minister Sergey Lavrov on the same day of the strike. Russia had failed to address the events in Gaza until Monday, and its unusual statement was likely aimed at diverting the international attention from Assad’s use of chemical weapons against civilians. Russia’s diplomatic backing and protection of Assad has infuriated political and security circles in Israel, as it may be interpreted by the Syrian regime as a general legitimization to use chemical weapons—possibly against Israel too. Israel is therefore prepared for a direct diplomatic conflict with Russia over this issue, which it sees as a serious imminent threat. 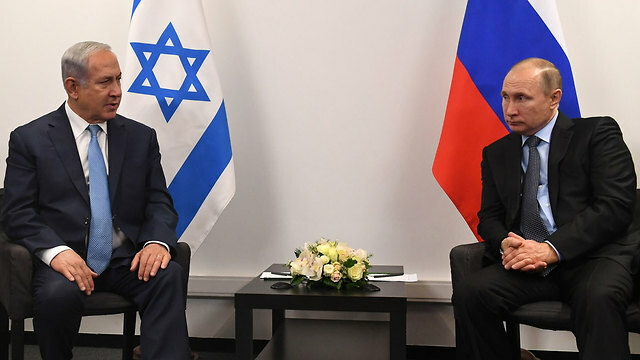 As far as Israeli security and political officials are concerned, Russian legitimization to use chemical weapons by one of Israel’s enemies is an almost existential threat which Israel must prevent. Naturally, this raises the explosive potential of the northern arena in the near future, but it will likely prompt Israel and Russia to maintain their military coordination system. This system was established to prevent clashes between the Russian forces in Syria and the Israel Air Force following an error. These days, in light of the explosive situation in the region, proper military coordination is highly important to prevent an escalation to war, which both Russia and Israel are uninterested in at the moment. As for Iran, Israel took the gloves off a long time ago and is waging a low-scale military battle against the expansion and entrenchment of the Iranian Revolutionary Guards and their Shiite militias in Syria. It remains unclear whether President Trump will make good on his threats against the Assad regime over its use of chemical weapons. The Israeli Foreign Ministry statement, which is based on intelligence sources with globally-recognized credibility, essentially pushes the American president to take action in Syria. Now, the White House can no longer say it has no findings providing clear proof that Assad attacked his citizens with chemical weapons on Sunday. The credibility of the United States, France and the West in general is being put to the test. In fact, in light of the Assad regime’s use of chemical weapons under Russia’s diplomatic auspices, the free and democratic world has reached the point in which it must draw a red line against the Russian’s uninhibited conduct. History shows that if the US, Britain and France had drawn a red line against Adolf Hitler when he intervened in the Spanish Civil War, crossed the Rhine and annexed Sudetenland in the Czech part of Czechoslovakia, World War II could have been avoided. The analogy is clear: Putin is acting in an unrestrained manner in Ukraine and in Syria, and in regards to the development of weapons, and he is doing so in a way redolent of the Führer’s conduct at the time. In Syria, he must be faced with a clear physical wall—and even fire if needed—a wall which will stop the “axis states”: Russia, Iran and Syria, as well as Turkey to a certain extent.